The i9 designation is reserved for Intel’s fastest processors that can go in a desktop you or your friend (and not a multimillion dollar business) might own. These things are very fast—with up to 18 cores in each processor, capable of running 32 threads simultaneously. The i9 processors, which were first introduced back in the late summer of 2017, are also super expensive, but Intel is hoping you love the luxury and power of the i9 brand enough to buy a hobbled version for your laptop, because starting today, the i9-8950HK will be available in a wide range of mobile workstations and gaming laptops. The i9-8950HK is Intel’s first Coffee Lake CPU with the i9 name. Coffee Lake, for the uninitiated, is the code name for the microarchitecture the CPU is based on. Despite the name, this new i9 really isn’t much of a relation to previous i9 processors, which are based on either Skylake-X or Kaby Lake-X—microarchitectures that are much older. Those CPUs started at $800 and can retail for up to $1400 for the most powerful ones. The motherboards they require cost another $300 minimum, on average. So you can be looking at $1500 to $2000 before you even invest in memory, storage, graphics card, or a case to fit it all in. Yet Intel promises that for that price you get incredible speed, and truthfully the i9 processors are very fast, with more than double the cores of the fastest i7 available. On paper, the new i9-8950HK doesn’t look like it will quite compare. It may have 6 cores—the most cores Intel has ever packed into any mobile CPU—but the i7-8750H, also intended for laptops, has the same number of cores. The i9 comes with a higher clock speed, 2.9GHz vs 2.2GHz, and can “Turbo Boost” higher depending on the workload—4.8GHz versus 4.2GHz. But a higher CPU clock speed is not nearly the same as large number of cores the i9 usually promises versus the i7. In fact the only thing that is significantly different between the two CPUs is that the i9-8950HK is overclockable and limited only by the thermal design of the laptop it is in. The new H-Series i7 CPUs are not. But it’s not all sadness and tears—the i9-8950HK still has the potential to be the fastest CPU ever seen in a laptop. Intel claims it is 29-percent faster in overall performance than a 7th-generation i7 with the same power requirements. Intel also claims it provides 41-percent more frames per second in games and is a whopping 59-percent faster when rendering 4K video. Those claims are huge, and if Intel genuinely delivers than everyone buying one of those souped up $4000-plus gaming laptops from Alienware, MSI, or Acer will absolutely be saying “put the i9 in it.” That’s the target for this CPU—people who want big laptops and have money to burn. But the real case will be to see how that i9 performs compared to new 6-core i7s. Will it be worth the premium the name will demand? 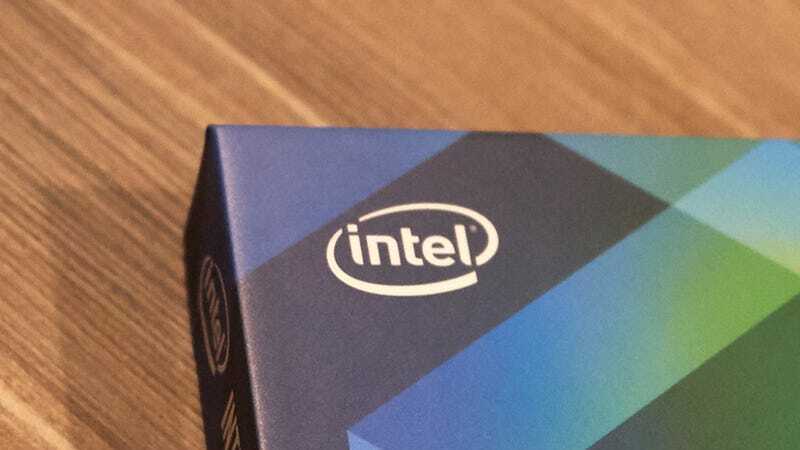 We should hopefully know more soon as the new H-series Intel CPUs will start shipping in laptops this month.